Good writing is key to persuading your audience. But readers have to cut through design before they can understand your message. Typefaces—or font families—are important for good design. 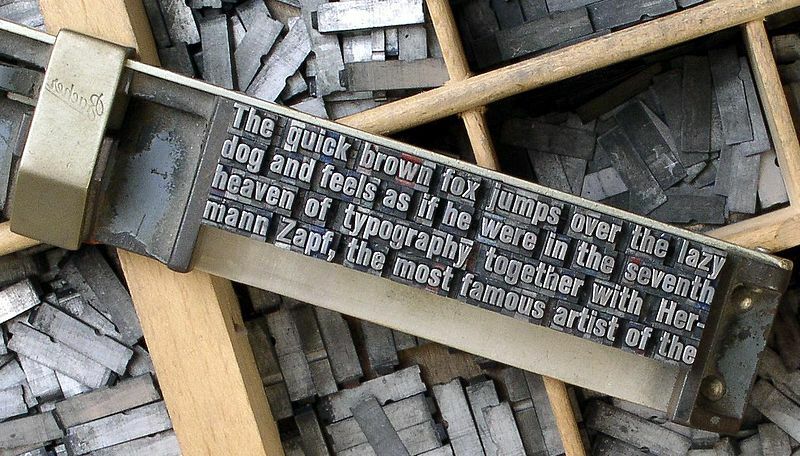 Communications pros consider a number of typography elements to hone a campaign’s message. But if your communications are in-house, keep these basic guidelines in mind when choosing a typeface that is easy to read and that fits the mood of your organization. Contrast—You may not know your elbow from a serif, which is the line at the end of the stroke of a letter, by the way. But some copy and design pros think this stroke may ease the flow of reading. Try pairing a sans serif with a serif typeface to add contrast to your document. Legibility—Legibility measures the ease of distinguishing between letters. Make sure the typeface you choose is easy to read so that your audience gets the message, not eyestrain. Use decorative typefaces sparingly—You’ve heard the adage, too much of a good thing. Decorative typefaces can inject personality into your campaign. But I think too much decoration is like reading an email in all caps. At some point, tone your frilly typeface down and let your message do the talking. Limit your typefaces, not your message—Every new design element asks the reader to make a decision. A good selection of typefaces should make content easier to read. But too many will tend to detract from the message. A good guideline is to choose two distinct typefaces. Or choose three, but only if you must. If you want to know what typeface you are, try one of these online quizzes for kicks. Take them with a grain of salt. They’re hardly scientific. Pardon me, kind sir, for I knew not that I was in the presence of such a noble lord as thou when inscribing this lowly internet quiz. Here, let me help thee into thine chair, and please accept mine peasant head as payment for having ever inconvenienced thee. Classic and reliable, you’re picky about design. Clean and streamlined, you don’t get bogged down in detail or decoration. Versatility and simplicity is key, and you’re the master of both.